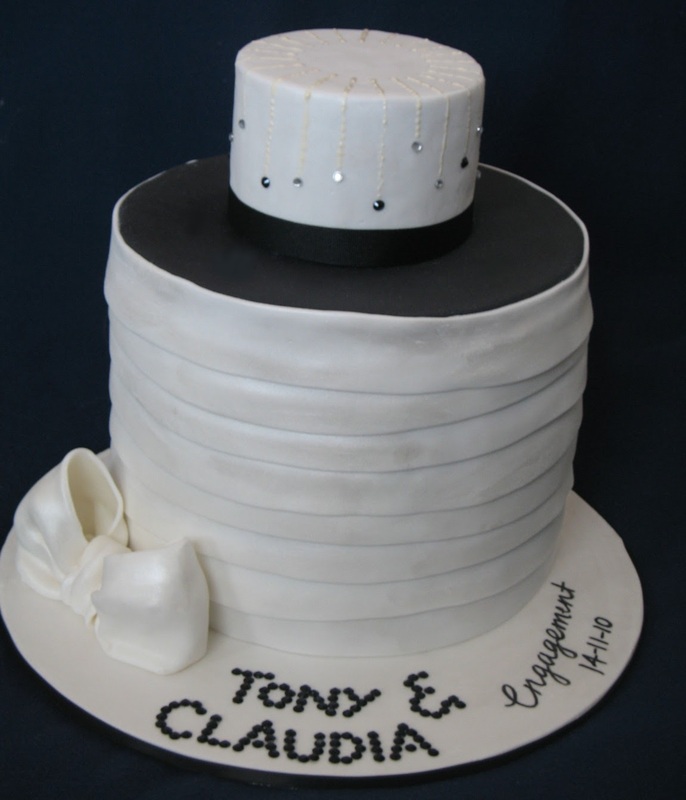 A black and white bling engagement cake. 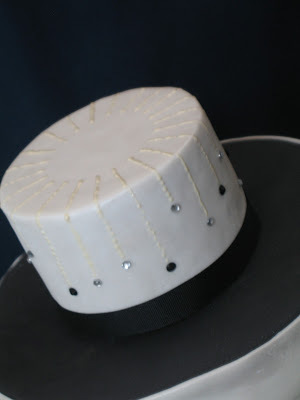 The bottom is an extended tier which was covered in shimmery white draped fondant. You cannot see it from the photos, but the entire cake was shimmery white! The top tier had a cascade of royal icing crystals with a bit of bling on the bottom on the cascades. The cake is a buttercake, layered and covered in white chocolate ganache. 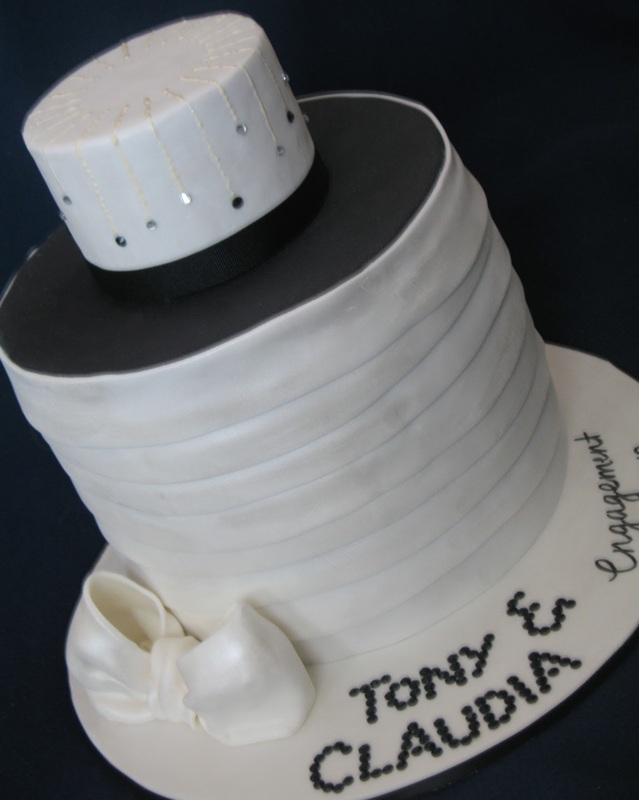 The couple's names were spelt out in black crystals.